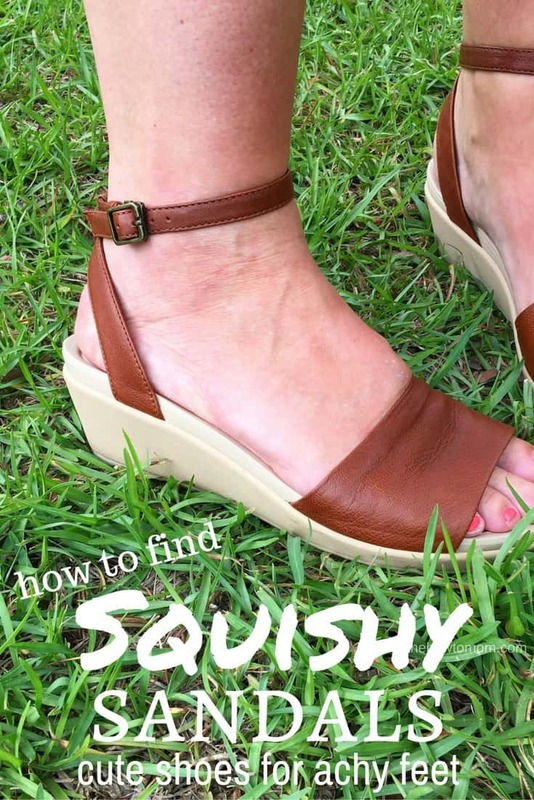 Squishy Summer Sandals – no more flat flip flops! I’ve tossed all my cheap-o flip flops, and have been on a hunt for nice and squishy summer sandals. It’s taken some work, but I’ve found a few winners! My feet need the all the extra squishy cushion they can get. I’m not sure if I’ve got legit plantar fasciitis, or I’ve just worn crappy cheap shoes for too many years, but my feet HURT! I can’t wear flat, cheap flip flops anymore. My feet just ache by the end of the day, and I can tell it just zaps my energy. Apparently there is a reason old people need comfortable, supportive shoes. Sigh… So, the time has come to start buying better shoes. I’ve already talked about my love for those Birkenstocks, and if you follow me on IG (@thehowtomom), you’ll know about the leather Crocs sandals too. I recently added these platinum Crocs flip-flops to my collection and I’m really liking them too. They are sliiiiightly moon-boot-ish, but you just can’t get that kind of squish from flat flip flops. So, I’m ok with it. These Crocs “Leigh Ann” sandals (above) are this summer’s clear winner. So much squish, and the leather is a beautiful cognac color that goes with almost everything! I recently got them in black as well and they’re lovely too. I love getting compliments on them and saying, “GUESS WHAT?! They’re CROCS!” Everyone is always so surprised. Way to go, Crocs. I’ve linked up a few of my current favorites below, and I’ll add more squishy summer sandals as I find them! Do you have achy ouchy mom feet too? DO you have any suggestions on brands to try? Leave me a comment! 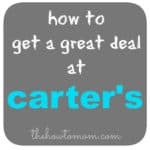 You can also follow me on IG (@thehowtomom) to see more shopping finds. 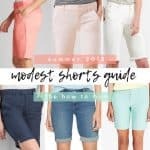 And you might love my Summer 2017 Capsule Wardrobe. I had sore feet from cheap candles but I got some spendy ($50) flip flops that I love! (My mom and sister have them too) I bought them at a foot Dr’s office. I haven’t had sore feet since wearing them. They are montrail brand and they have thermo-moldable foam. I’ve had them for 2 or 3 years and wear them for more then just summer.